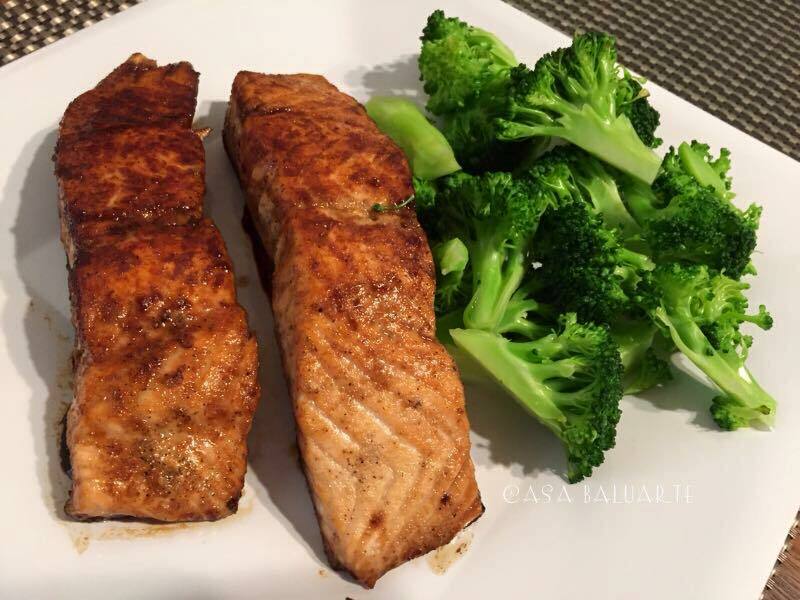 Season salmon with salt, ground garlic and ground black pepper. Pan seared salmon in a frying pan in olive oil on both side for 5-10 minutes using medium low heat. Cover the pot to allow the steam to cook the salmon and keeping it moist. While waiting for the salmon to cook, boil 2 cups of water in a pot. Once water starts boiling steam the broccoli for few minutes. Once salmon is fully cooked (or however you want it done) pour the teriyaki sauce over the salmon, cover and simmer for few more minutes. 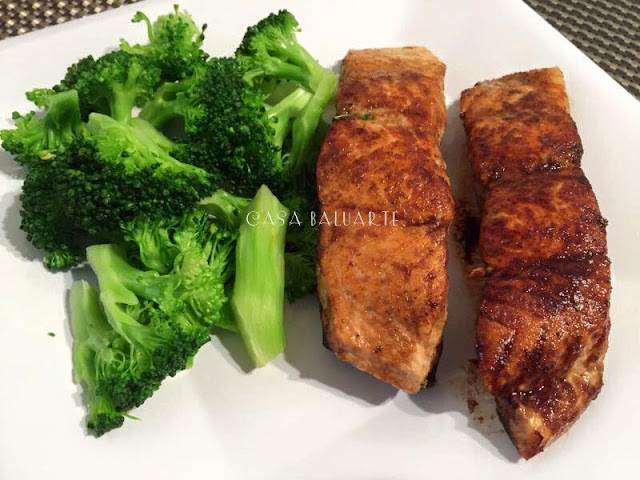 Remove from heat and serve with the steamed broccoli on the side.